The OnePlus 6T has proven extremely popular since its launch, especially in the US where it is backed by T-Mobile. But with 2019 just around the corner, OnePlus has already begun work on the OnePlus 7 and its 5G flagship. These aren’t expected to arrive until Q2 2019 but today a new leak has provided a glimpse at what could be an early prototype. Published by Ishan Agarwal, the photo in question appears to have been taken during a recent meeting at the company’s headquarters. 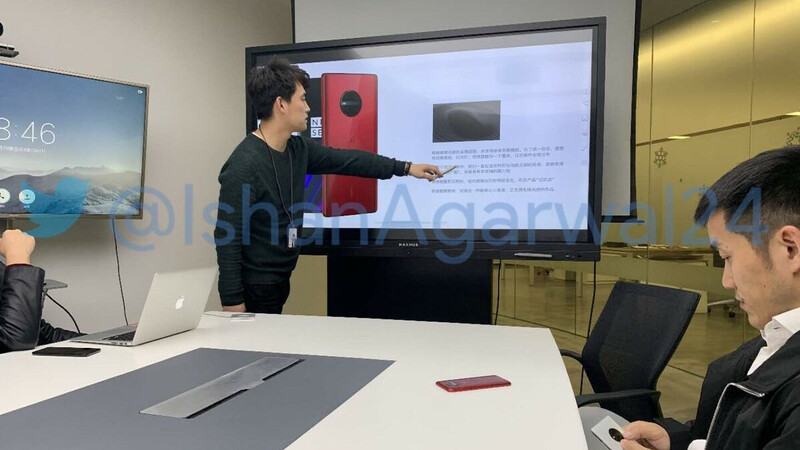 In it, CEO Pete Lau can be seen going over a product slide which contains renders of the prototype in question. 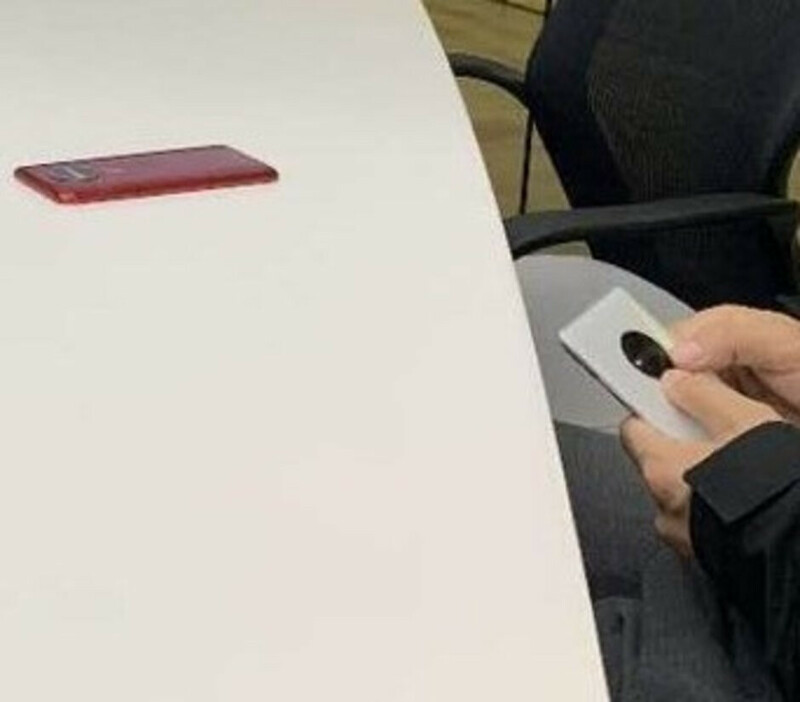 Meanwhile, one key employee has a white prototype of the smartphone in his hands and on top of the table sits a red version. It’s claimed that the device shown in the photo is still in the designing stages. This means that the final version could potentially look completely different. If the Chinese brand was to opt for this design, though, it would mark a significant departure from its recent devices. After all, the relatively minimal dual-camera setup seen on the OnePlus 6 series has been replaced with a huge Motorola-like camera module that presumably contains multiple sensors. As to when consumers should expect to see the final version of the OnePlus 7 or the company’s 5G flagship, recent comments have pointed towards a May 2019 unveiling at the very earliest. In any case, though, this is still roughly five months away and doesn't mean the smartphones will be available to purchase immediately after their announcement. I'm only a new OnePlus fan but this is a definite No. Eh I don't like the Nokia design. I guess this year is copy Motorola. Rear camera design and placement. Notch. Silent switch. After Apple went glass back, the next Oneplus had one. Oneplus (Oppo) has been slyly copying Apple for a while. No need to act offended, or that Chinese Oppo is original. Can they come up with something to top the GOAT, the 6T? if this company add stereo speakers to their product that sounded great... they'd have a new customer in a flash ! Only 2 things that stopped me from buying a 6T, 1. Headphone Jack and Stereo Speakers. 2. Expandable Memory. Rest all is pretty damn good!